Washington : President Barack Obama has ended a longstanding "wet foot, dry foot" practice that allowed undocumented Cuban migrants to remain and become permanent residents of the US. The move announced on Thursday, which was not previously outlined and is likely one of the final foreign policy decisions taken by the Obama administration, terminates a decades-long policy that allowed the Cubans to obtain permanent residence a year after entering US territory even by illegal means. The Cuban government on Thursday said the signing of an accord here to end the US immigration policy was "positive" and "an important step ahead" in the bilateral relations, EFE news reported. Many argued that the policy, adopted in 1995, amounted to preferential treatment for a single group of migrants, CNN reported. "By taking this step, we are treating Cuban migrants the same way we treat migrants from other countries," the outgoing President said. "The Cuban government has agreed to accept the return of Cuban nationals who have been ordered removed, just as it has been accepting the return of migrants interdicted at sea." 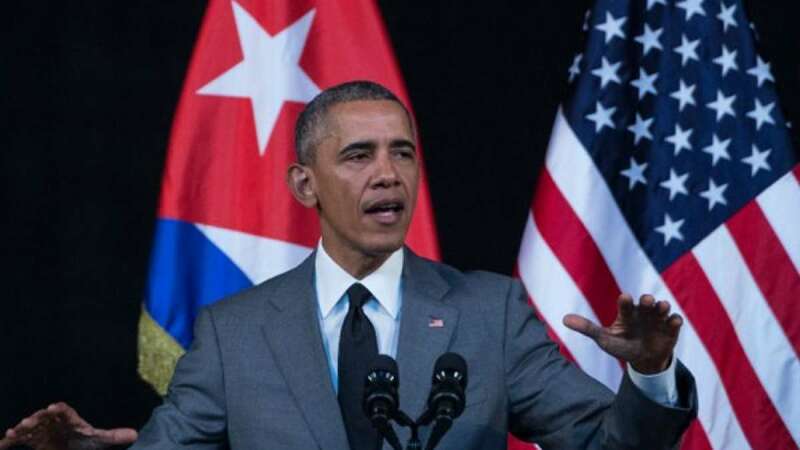 "During my administration, we worked to improve the lives of the Cuban people -- inside of Cuba -- by providing them with greater access to resources, information and connectivity to the wider world," Obama said. It was always considered by Cuba as an encouragement to illegal migration and human trafficking. A statement from the Cuban government said this arrangement was aimed at "ensuring a regular, safe and ordered migration", Xinhua news agency reported. Both governments agreed to apply their migration laws in a non-selective manner and in accordance with their international obligations. This Cuba-US deal comes a week before Obama leaves office on January 20.